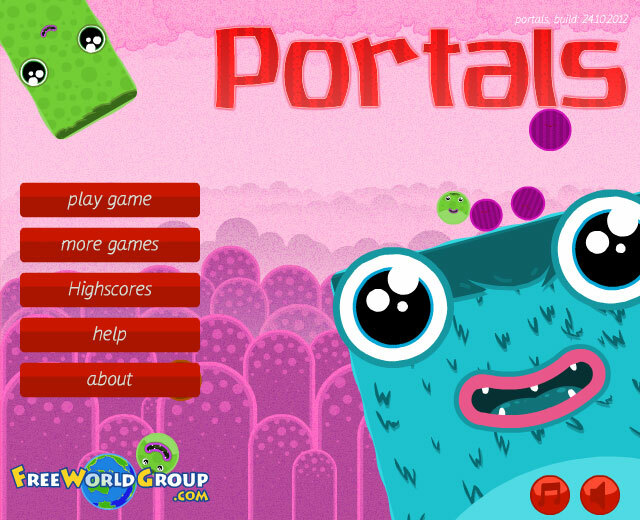 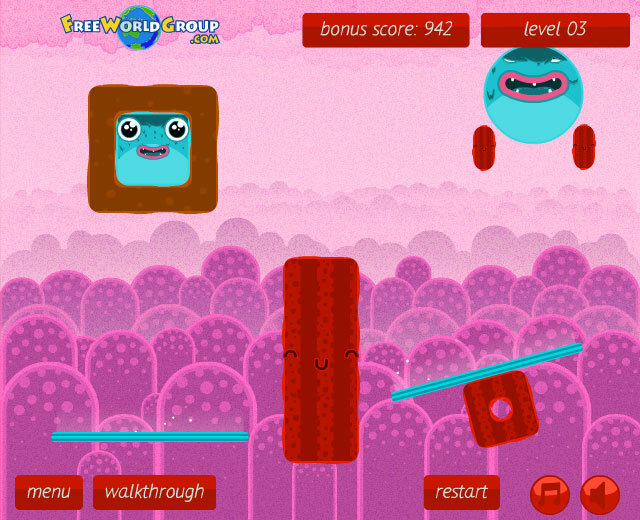 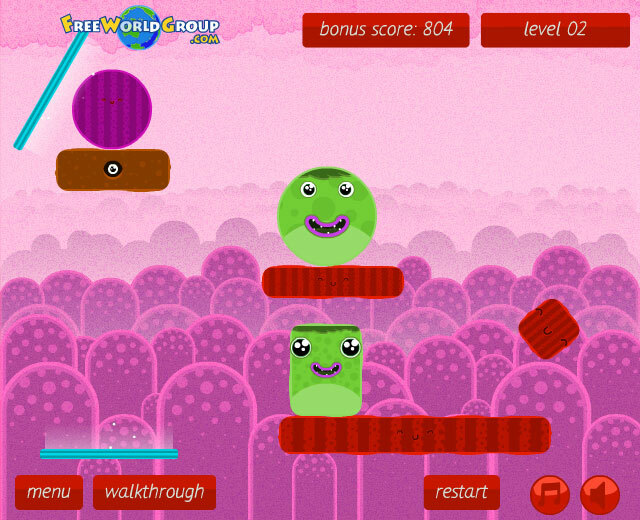 Use the portals to teleport the monsters to different areas and counter obstacles that are in your way! 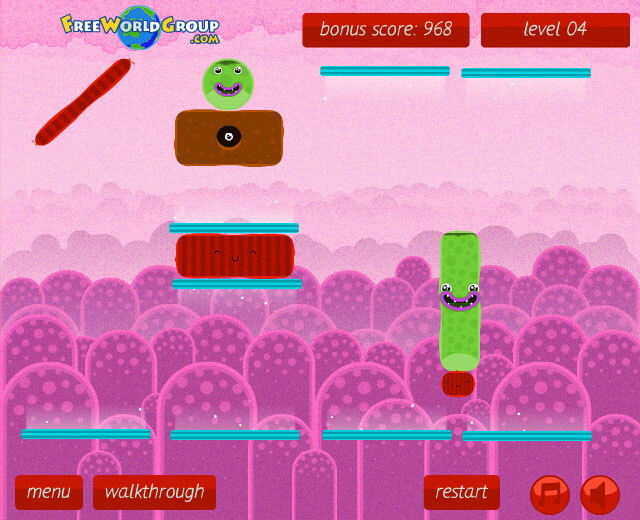 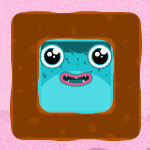 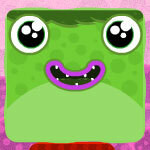 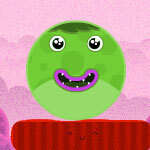 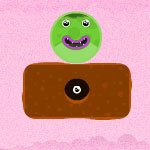 Match the color of the monsters to beat each level, and make sure they don't fall off or get stuck in between at times. 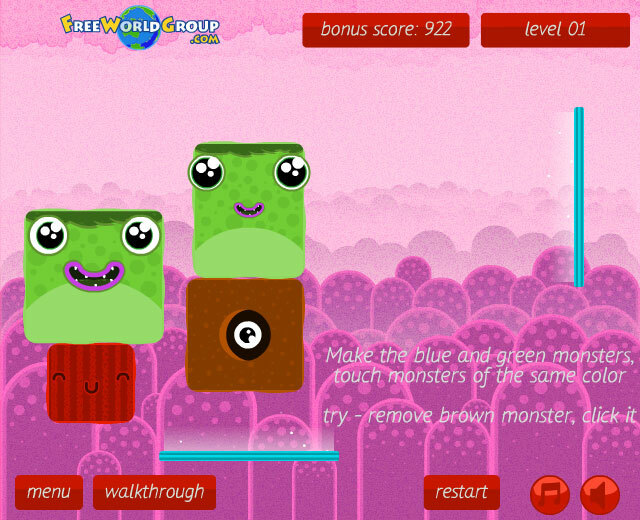 Use your MOUSE to point and LEFT click on the brown shapes to delete them and have your monsters either fall, slide, or trip over obstacles!